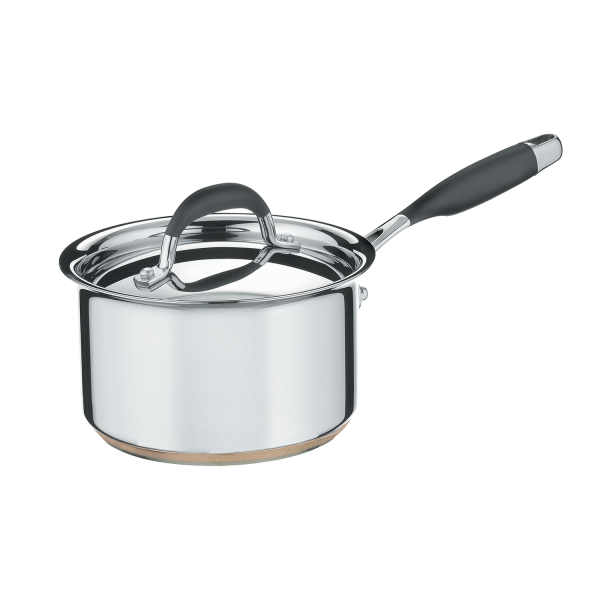 Made of the highest quality heavy gauge stainless steel, this versatile 16cm/1.9L covered saucepan features superior durability and a brilliant mirror finish that will look great and perform exceptionally time after time. The innovative, durable and ergonomic handles are made from a combination of high quality stainless steel and silicone rubber, providing a soft, cool to the touch, confident grip. For added convenience, the handles also feature a hanging loop for easy storage. This saucepan is also dishwasher safe, and oven safe to 200°C, for true versatility in the kitchen. Essteele Australis 16cm/1.9L Saucepan is rated 5.0 out of 5 by 2. Rated 5 out of 5 by Me12 from Excellent quality I love these saucepans and will never go back to any other brand!